Add the milk and beat to combine. Sift the flour, custard powder, and cocoa. Add to the bowl and mix in to form a soft dough. Roll about 2 teaspoons worth to make small balls. Place on baking tray and press with a fork to flatten. Dip the fork in flour first, to stop it sticking to the dough. Let the biscuits cool while you make the icing. To make icing, beat the butter and icing sugar in a small bowl, Beat in the milk. Spread about half a teaspoon of icing on one biscuit, and join with a biscuit of the same size. Welcome to Open Slather #100! We've had a weekend away. Mum, my daughters and I, looking around several open gardens in the Adelaide Hills. It was awesome. I have come home with so much inspiration and vigour for my garden. I spent all day Monday out in it, mowing, weeding, rearranging and cleaning up. Tuesday too. We'd been listening to the radio mostly, in the car, but on the way home Mum put on one of her CDs, one of those 'party' or BBQ compilations. The words 'Survivor - Eye of the tiger', came up on the digital screen on the stereo. I'd had the #fmsphotoaday challenge in my mind - fave word. There were several that came to mind. Home, happiness, family. 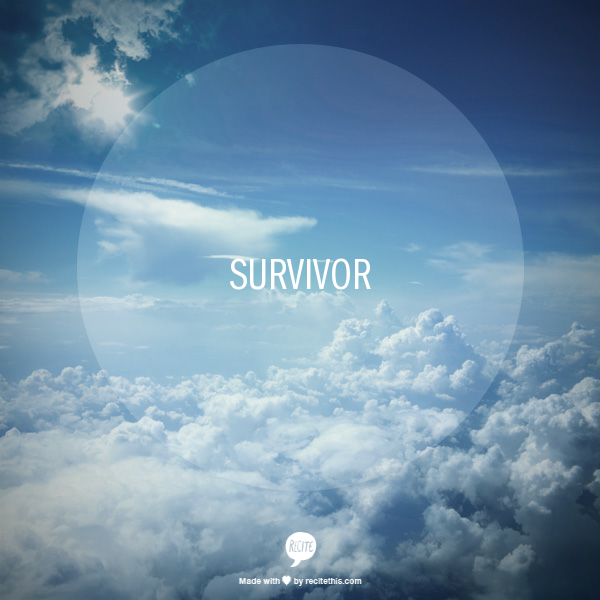 As soon as I saw that word, Survivor, it felt right. It sat. I wasn't quick enough to take the photo, Mum turned the stereo off, she has a habit of turning the stereo off when she is on a talking roll. I zoned her out though, thinking about missing that photo. I didn't want to let that word go. We are all surviving something, or desperately trying. Cancer, mental illness, the god forsaken witching hour, peak hour traffic. That annoying nosy woman in the street, who asks all the obvious nosy questions, because she can't help herself but know your business so she has something to talk about to other people. Or the kicker, that makes your problems seem insignificant - the family desperately escaping across borders. Escaping their war torn homeland, with only the clothes on their back and a few bottles of water. Hiding wherever they can, not sure if they will make it through the night, without being discovered. The elderly, women, children. The word 'survivor' means there is hope. It means that there is a skerrick of a possibility, that surviving is not impossible. I can only hope, with my head buried in the sand mostly, because the truth is too hard to bear, that there be many who can call themselves 'survivors'. That they will have courageous stories to share. Fabulous stories of hope. This is my wish. Mum, the girls and I, spent a blissful weekend away looking at open gardens around Strathalbyn, in the Adelaide hills. So much inspiration. I've been gardening for the last two days! Can not wait to do it again. These first four are of the Murray River at Tailem Bend. I took these in the morning. These views were from our cabin, number six, at the Rivers Edge Caravan Park. I sent some of these in the post, early last week. They arrived in record time, I was surprised. but ever so glad! It was the best feeling to send someone a home cooked pressie, from me to them. Just awesome. Add in orange juice and rind, and stir to combine. Then stir in egg. Lastly, stir in sifted flour, custard powder and salt. Form into small balls. Place on a greased tray and press with a fork dipped in flour, to flatten. To make icing, beat the butter and icing sugar in a small bowl, Beat in the milk. Stir through the orange rind. Spread one biscuit with about half a teaspoon of icing, and join with another biscuit of the same size. Hello from Greece! A postcard. A postcard from Greece arrived this week. It has taken a couple of months to get to us, but it made it! It's from my niece Bonnie, and her husband Ben. You might remember the post, where I featured their summer solstice wedding, late last year. In February of this year, they flew overseas to do some travelling, and working. They are both school teachers, and have just started living and working in England. The school year has just started after the english summer holidays. I learnt that from Lauren Newton, on the Bert Newton show years ago! There's proof, that show wasn't a complete waste of air space! Besides Bert is a TV legend! You can totally see why she is such a great lower primary teacher. It was such a joy to read this to Izzy and Summer. She did an epic job in writing this postcard so they could appreciate and understand it. I can't wait to see them both again. We will have to wait a whole year! So today I know a little more about greek donkeys, and Santorini. Trying to book accommodation in the hills of Adelaide this weekend, I know there is a pedal prix in Murray Bridge! I know there are lots of weddings on around the hills, bugger all accommodation, the cheapish kind anyway! But accommodation we have, nice too, and not too pricey. I know that I am going to love perusing other peoples amazing gardens, with my mum and my daughters(they love it too). It's been so long since I have been away without my husband in tow. I am SO going to enjoy the break! Hopefully with lots of photos to show you. Fingers crossed the house is clean when I get home. Brett's beloved Port are in the semi finals and I hope he doesn't have too much planned! I do hope Port Power beat Hawthorn though, and I know if they do, next weekend is going to be HUGE. These are decidedly, the best beef burgers you will ever taste. Who decided? Me! I love them. So did Summer. Isabel just wasn't interested in dinner, she ate an apple. I think Brett liked them. They are yumptious, scrumptious. There's no egg, or breadcrumbs so easy too, if you don't have any in your larder. All you need is BBQ sauce, of some sort (use tomato sauce if you have too) and worcestershire sauce. If you don't have that use soy sauce. Here's how you can make them. It's easy. Combine all ingredients. Best done by getting your fingers in the bowl and scrunching it all together. Using an egg ring as a mould, press the mince mixture in to form burgers. Remove ring. Repeat until all burger mince has been used. Fry or grill burgers until cooked through. I am a total sucker for those marked down bags of produce at the supermarket. A bag of beets for $3? No, nothing absolutely crazy about that! I'll take one! I love trying out something new. A cooking challenge. A new taste sensation. You came to the right place if you want too much information, I peed red for a day after scoffing the beets I roasted. Bloody delicious! Chop into chunks(about 3cm), smother in oil, salt and pepper and roast(190C) for about 20 minutes. Yu-umee! I also made this relish. Great on burgers, and great as a side at your next barbie. Barbecue weather is beating on the door. Can't wait. Add grated beetroot, sugar and vinegar into a saucepan. Stir over medium heat until the sugar dissolves and mix comes to the boil. Simmer for 25 minutes or until the liquid has evaporated. Stir through salt and spoon into clean hot jars, that have been sterilised in the oven at 190C for 15 minutes. What's your 'must have' on the menu, when you BBQ? I have an awesome burger recipe tomorrow, you should check it out. So tasty. Perfect for the barbie, a hamburger or just rissoles for dinner. 1. How long have you been blogging and why did you start? I started blogging in 2012, May I think. It was that year I started doing the Photo a day challenge(and didn't stop! I got a bit addicted) by Fat Mum Slim. It was Chantelle's blog, that introduced me to blogging. So I have her to thank I suppose, and that night there was bugger all happening on Facebook. I was so bored and looked into making myself a blog. Let's just say, I am not bored anymore! 2. If your wardrobe could talk what would it say about you and tell us about your favourite or most worn item? My wardrobe would say,"Don't eat that chocolate!". I've just bought size 12 pants, so I am trying so hard not to eat all the chocolate, or drink all the wine, or anything else that puts on the kilos. We've just come out of the winter chill. My most worn item recently would have been my black leggings, to go under long woollen dresses and tunics. I have a pair of boots that I have worn to death too over winter, only because they were the only ones I had! When the washing is folded, everyone elses clothes end up in their drawers, neatly folded. I neglect my own. They usually get dumped on the trunk at the end of the bed. I have to make a point of not always going straight to these crumpled, but clean, and convenient, clothes, and getting something different out of the wardrobe. 3. What's your idea of the perfect date night? Right now? Me. All by myself. Out to dinner and then back to a hotel room. The bed all to myself, the tv remote and whatever else. Nail polish, chocolate, spa bath! Oooh yeah. Oh, and sleep, glorious sleep! 4. What's on your Worth Casing list? The open gardens near Adelaide next weekend. My mum, me and the girls are going on a road trip to look at three, maybe four gardens. Some new nail polish. Izzy is very good at wasting all mine away, on her toes, fingers and her sisters too. Finishing the 'My place in time', list. I so want to publish my version, in book form. I have this notion of interviewing and maybe publishing a short book of women in my community. Sharing their varied stories. It's one of those pipe dreams. Even if the library and the museum get a copy, much like the above book. Inspiration to keep me on track and working positively towards my goals! Much of this has come from stuff shared by bloggers who attended Problogger. Just gotta keep all my ducks in a row, and get busy! 5. If you had a theme song what would it be and why? There's one song that always takes me back, to when I was about 12 years old. I am not sure which brother I had a crush on, but it reminds me of them. I am not sure why, but this song reminds me of that time, and of them. They bare no significance in my life now, really. But the song makes me feel good. Weird, I know. This clip was out about the same time, maybe that's why. Who knows. I do know, this is my party, and I will cry if I want to! Blogs I consider worth casing. This is hard, there are so many, and many have already been nominated, it would probably take me forever to work out who. And I don't have forever. So. Blogs and people that always humble and totally amaze me, in good ways. My little drummer boys and I'm thinking about starting a blog. 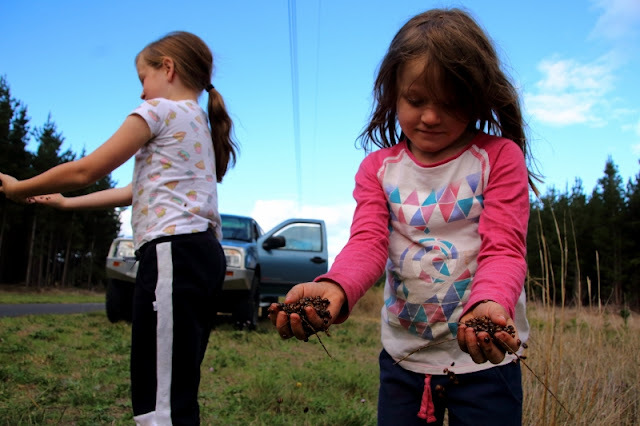 A Parenting Life, her butterfly kisses and fairy wishes, also her #ouradventureofalifetime, are worth casing. 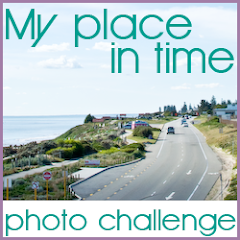 Blackcurrant Photography Where the 'My place in time' challenge originated, thought up by photographic artist Kell Rowe. Lastly, but so not least, Kate Writes. Did you know you could nominate yourself? What are you waiting for?! Monte Carlo biscuits are the bomb!